A void almost 2 billion light years wide called the CMB coldspot. 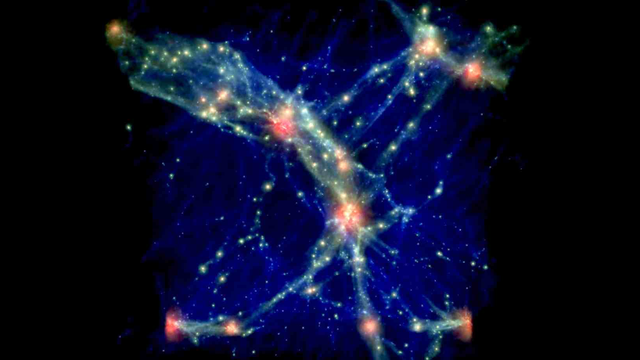 A structure strung out over 4 billion light years containing 73 quasars known as the Huge Large Quasar Group. A group of gamma-ray burst emitting galaxies that form a ring 5.6 billion light years across – 6% of the size of the entire visible universe. Some physicists argue that these phenomena may be evidence for brane theory — the idea that what we perceive as our universe is a single four dimensional membrane floating in a sea of similar (mem)branes spanning multiple extra dimensions.